The Twenty Third Street Distillery is bringing a fresh new face to the hedonistic scene in the Riverland. Situated on the outskirts of Renmark, The Twenty Third Street Distillery is bringing a fresh new face to the hedonistic scene in the Riverland. The actual site of the distillery is over a hundred years old having originally been built in 1914, with the aim of making the most of the region’s fertile fruit harvests. Following an unfortunate decline after the turn of the century, Twenty Third Street had remained dormant until last year, where it was brought back to its glory days. 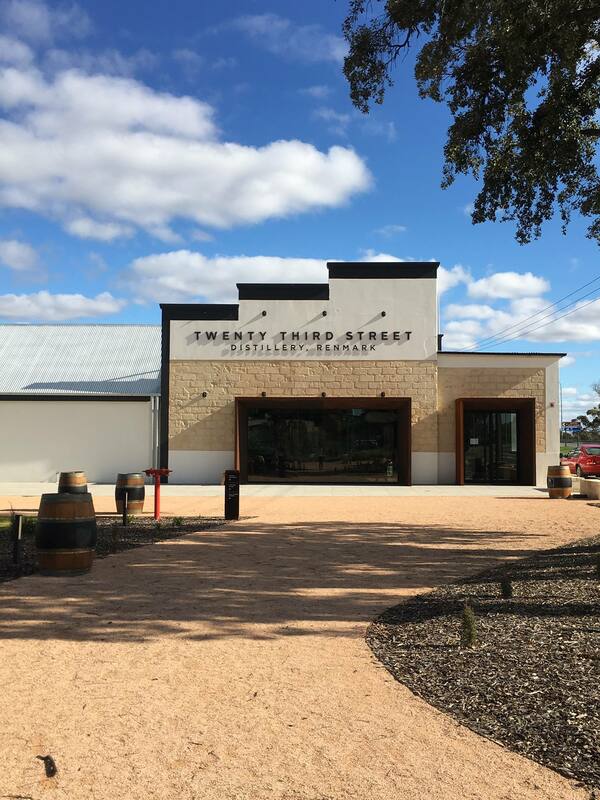 With passion, innovation and ambitious ideas in mind, the Distillery re-opened in 2016 and it was modestly named after the area it occupies (the corner of 23rd Street and Renmark Avenue, Renmark, 5341). Minimalism and a respect for its history seem to be common themes throughout the establishment, which offers its visitors $15 daily tours with much to see (running at 11am, 1pm and 2pm). Standing apart from the plethora of wineries in the region, the distillery makes its own unique spirits, available in tasting packages and for take-home purchase (by the bottle, if you find yourself particularly in awe). The homemade ‘Signature Gin’, ‘Not Your Nanna’s Brandy’, ‘Prime 5 Brandy’, ‘Hybrid Whisk(e)y’ and ‘Riverland Rose Vodka’ now also grace the shelves of many respected bars, pubs and eateries all over Adelaide (just in case you can’t make the three hour long journey). Opening from 10am to 4pm, seven days of the week, group tastings at the Distillery can be pre-booked online and we can confirm the place offers plenty of Instragram-worthy views. Fortunately, Renmark’s town centre is only a stone’s throw away – if you’re hoping to catch a glimpse of the scenic Murray, or devour some (more) drinks by the riverfront. Twenty Third Street seems to be doing an excellent job of marketing itself in the region, with some pretty big plans to host a two-day ‘Distillery Days’ music event (October 1st and 2nd), that promises Daryl Braithwaite on its set list. Tickets to the Distillery’s Riverland-based festival can be bought via Fringetix, otherwise, to book a tasting or tour (or both) at Twenty Third Street, visit their website or give them a call on 08 8586 8500.